NASA is planning to launch a mission called the Magnetospheric Multiscale (MMS) mission to study the portals that connect the Earth and the sun. 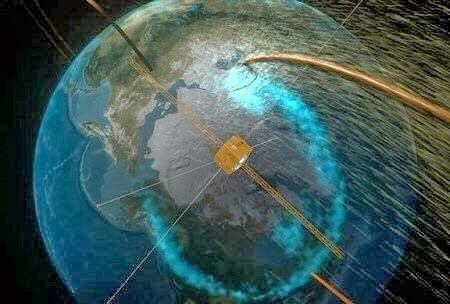 The mission will launch in 2014 and consists of four identical satellites that will orbit in Earth’s magnetosphere where they will surround the portals and observe how they work. The portals that connect the Earth and sun create an uninterrupted path between the two. They are invisible and will open and close without warning. Some portals are short-lived while others are vast and sustained, according to NASA. Tons of high-energy particles flow through the magnetic cylinders in what is called a flux transfer event (FTE). The particles can cover the 93 million miles between the sun and Earth in a matter of minutes. The particles can cause geomagnetic storms and polar auroras. NASA’s Polar spacecraft was launched into Earth’s magnetosphere in the late 1990s. Data acquired by Polar will be used to help the satellites of MMS find portals to study.